2 Bedroom Apartment To Rent in Newbury for £1,300 per Calendar Month. This stunning 2 double bedroom apartment is located on the third floor of this prestigious block with a large balcony affording unrivalled views, arguably the best in the whole Racecourse development, being the closest block to the finish line. The main room is open plan and encompasses stylish space for living and dining, with the kitchen to one end which has been fitted to a high specification. This principal room features floor to ceiling glass with unrivalled views over the racecourse, and opens onto the balcony which extends the full width of the apartment. Both bedrooms have views over the course, with the master bedroom benefiting from an en-suite shower room with sliding doors to the balcony. The second bedroom is served by the main bathroom. The bathrooms are both extremely well appointed. The main reception room and hallway have oak flooring which complements the internal doors. There is good storage throughout. The racecourse development is located on the south side of Newbury town centre, being well placed for access to the railway station and the centre of the town. Newbury offers excellent shopping, theatre and cinema facilities, a choice of restaurants and bistros, and with the Kennet and Avon canal running through the heart of the town. Newbury offers access to the M4 motorway (J13) via the Newbury A34 bypass and Newbury Station provides a service to London Paddington in under an hour. The area offers a large variety of well regarded schools for all age groups. 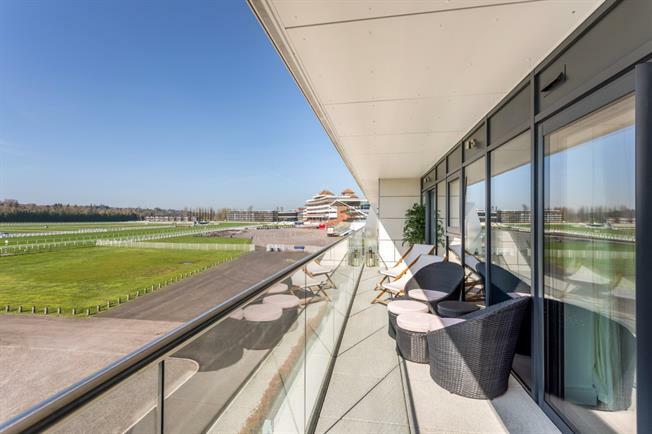 The balcony spans the entire length of the apartment with enviable views of the racecourse - perfect for race day! There are communal areas of grass, and one allocated parking space. 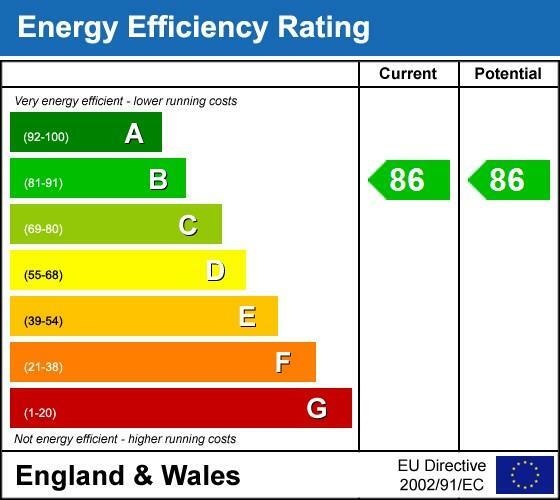 The common parts are extremely stylish, with a smart lobby with stairs and lift, plus secure entry phone system.